Money, time and space are the three things most of us want or need more of. Nome of which are easy to come by these days, perhaps that is why pre-fabricated construction is on the rise, not only in Australia, but around the globe. The speed and ease with which pre-fabricated buildings can be designed and constructed reduce the cost of building, as do the consistency of materials and in many cases the standardisation of design processes, decreasing the amount of time and energy that is required for design development. The speed of construction also allows cities that are growing at alarming rates to house their growing population. Keeping the construction cost minimal is proving a major desire for millennia’s as they strike out in the world to build a family of their own. This desire is also being shared by baby boomers, whose retirement is just around the corner. Recent global recession has made the general population more aware of their finances. In addition to this, there are many sustainable aspects to pre-fabricated construction, including completely off-grid homes. Pre-fabrication, though it often includes some sort of modular (or repetitive) component, does not, by any means, limit the design outcome! 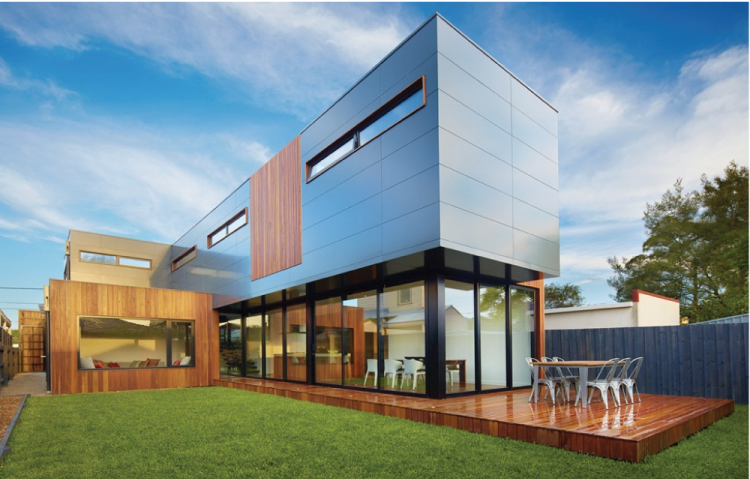 Prebuilt, Modscape and Happy Haus are Australian pre-fabricated companies that offer custom design solutions alongside ‘off-the-plan’ solutions. Each company is vastly different and cater their style to suit the needs and desires of their clients, breaking the negative preconceptions of what pre-fabricated housing looks and feels like. Each of these pre-fabricated companies have a process that is different to traditional architecture and building services; they have step-by-step a method for achieving the design and construction process more efficiently. The reason that pre-fabricated construction is so efficient is that you can complete functions of the typical construction process simultaneously, without the need for a linear, critical path. Site work, for example, does not need to be completed in order to start the construction. Without the linear, critical path, pre-fabricated companies have developed a different way of looking at the construction process, continuously finding a better and more efficient way of designing, creating, and implementing. Many prefabricated companies are not only doing so to perfect a system of puzzle pieces, but many also have an affinity, to create sustainable construction, given that such a high percentage of waste and emissions in the world come from the building and construction industry. Sustainable principles that can greatly decrease the buildings use of electricity, water, air conditioning and heating are often being incorporated into the design of pre-fabricated constructions. When this happens, on top of the time and money being saved on construction, the client is also receiving the added bonus of long-term savings on utilities, as well as better-lit, better-ventilated homes. One example of sustainable pre-fabrication is the Carbon Positive House by ArchiBlox. It is a small, wheelchair accessible house that incorporates well-lit, well-ventilated spaces, a green wall, efficient use of space, solar heating, gravity, and grey water collection to create a house that is carbon-positive. Even better? It is not ugly, robotic, or visibly “modular”; It is a sleek, smart and contemporary construction. Recycled and non-toxic materials constructed the Carbon Positive House to make it comfortable and affordable while also making it livable, which remains the most important aspect of designing homes. For Australia, given that 10% of the Gross Domestic Product is attributed to construction, alone, it stands to reason that people would be looking for economic solutions to building, but even as of this year, only 3% of construction cost in the nation is attributed to pre-fabrication! 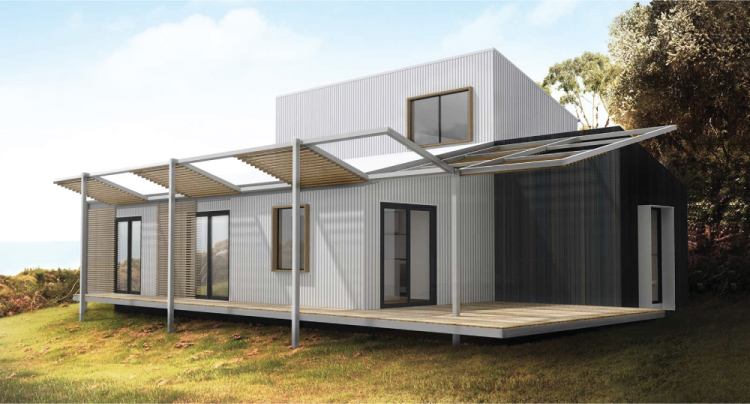 Despite Australia’s luck with temperate year-long weather conditions, the speed with which pre-fabricated construction can be completed is still highly capable of making a major impact on the construction market. Money, time, and qualitative measures are important when there is still room for substantial growth in the market. Pre-fabricated construction does not always mean modular, and modular does not always mean repetition or inflexibility. In fact, pre-fabrication is synonymous with sustainability, economic value, and creativity. Both commercial and residential clients are now seeing the benefits of simultaneous design and construction using pre-fabricated techniques, including their opportunity to save time and money in the short and long-term, all we need to do is rethink the inaccurate judgements and preconceptions of what prefabricated houses look and feel like.